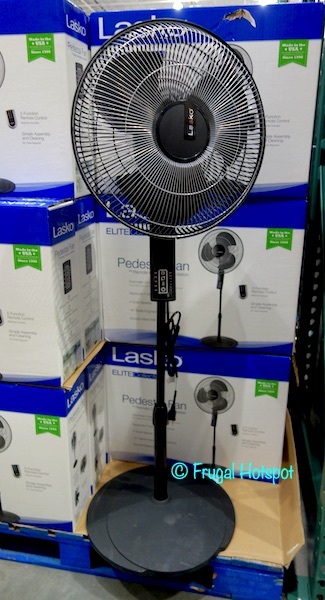 This quiet fan has 4-speed settings and a self-regulating thermostat that automatically turns the fan on or off based on room temperature. The height can be adjusted from 43” – 54” to suit your needs. 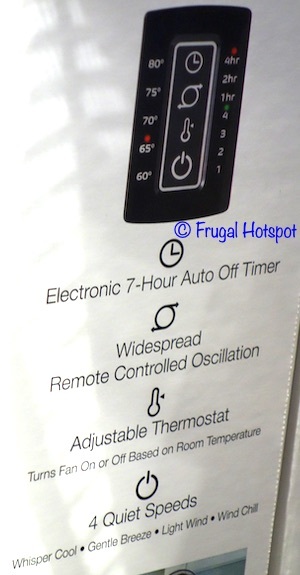 Use the remote to set the timer (up to 7 hours), select oscillation, adjust the thermostat, or select from 4 speeds. 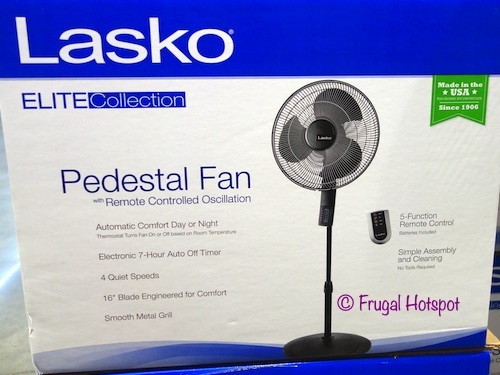 Select Costco locations have the Lasko Elite Collection 16” Pedestal Fan on sale for $29.99 (after instant savings), now through April 14, 2019. That is $8 off Costco’s regular price of $37.99. While supplies last. Item #1274364. 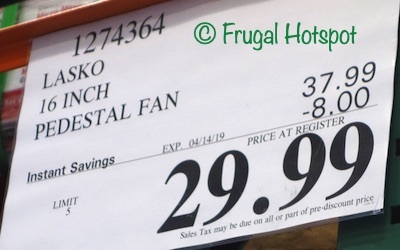 Prev Costco Coupon Book: APRIL 17, 2019 – MAY 12, 2019. Prices Listed.